Bill’s Lock Safe & Security has secured other Restaurant Depot sites and installed grand masterkey systems, so when they opened their new double facility in the Hunt’s Point section of the Bronx, New York, they asked Bill to set up another grand masterkey system. 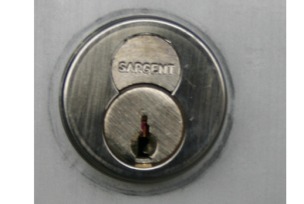 The original contractor had used Sargent hardware that would need Sargent series 6300 removable core cylinders. 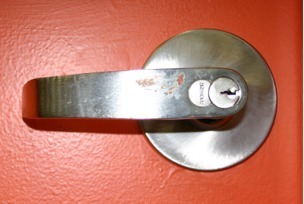 Bill’s Lock, Safe & Security designed the masterkey system, combinated 153 removable cores, supplied the Sargent padlocks to accept the removable cores and installed the cores in all the door hardware, padlocks and exit alarms at the Jetro/Restaurant Depot shown in the photograph below. Bill’s Lock, Safe & Security provides professional security contractor / locksmith services to commercial, industrial, institutional and residential clients in the Bronx, Manhattan, Brooklyn, Staten Island and Queens. The building was so large, that it would not complexly fit in the frame of the picture from where an unobstructed picture could be taken. Jetro is the USA's leading wholesale cash and carry, serving grocery retailers and foodservice operators. Restaurant Depot is a Cash and Carry Foodservice Wholesaler and commercial grade equipment supplier.